Life in the Southern Hemisphere is bitterly cold for most penguins, but they don't seem to mind. Most penguins live in large colonies on the coast of Antarctica or on nearby islands. 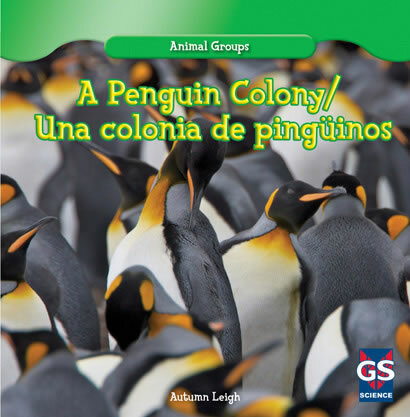 English language learners explore penguin colonies for themselves, learning fun facts about these beautiful birds with the help of bilingual text. Readers learn how penguin families work together to feed their young and keep them warm. A helpful graphic organizer aids in reader understanding. Readers will enjoy detailed images of penguin species at home in the Antarctic with every turn of the page.